iOS 8 offers amazing new possibilities for iPhone and iPad developers. However, you will need to learn entirely new design and development techniques in order to take full advantage of the new system and APIs. In our brand new Complete iOS 8 and Swift Programming Course our Head Tutor, Rick “the iGuru” – will teach you ALL these new techniques, in a complete step by step system. We start with a full exploration of Swift, Apple’s new programming language that will replace Objective – C in all new code. After you master Swift, we’ll turn our attention to the new layout and constraint model inXcode 6. This time, in their Xcode update – Apple completely revolutionizes the way designers and developers can build engaging User Interfaces. We guarantee this feature itself will blow your socks off! We’ll then continue with a discussion of views and view controllers, starting with single view applications and working our way up to using navigation controllers with table views. SQLite and its use as a backing store for table view data will also be covered. And, as always – no iOS course would be complete without a discussion of Core Graphics and Core Animation. We cover this and also SpriteKit’s powerful 2D graphics capabilities, and the 3D graphics techniques made available to developers by TWO brand new API’s – SceneKit and Metal. SceneKit – SceneKit is an API that has been available to MAC developers, but now ported to iOS. Metal – Metal is a low level API developers can now use where high performance 3D graphics are required. We will also cover the Camera and ALL of the various Sensor hardware, audio and video, and more! Approximately 25 hours of High Quality Video Training, Source Code, Workbooks and Exercises – taught over 15 sequential Units. Unit 1 – The Swift programming language: variables and constants, types, control structures, arrays and dictionaries, optionals, functions, and enumerations. Unit 2 – The Swift programming language: structs and classes, stored and calculated properties, property observers, methods. Unit 3 – Setting up view layouts in Interface Builder, using constraints, Intro to view controllers. Unit 4 – Hierarchies of view controllers using tab bar and navigation controllers. Unit 5 – All about table view controllers: standard and custom cells, how to respond to a user tap on a cell, indexing a table view, grouped table views, headers and footers. Unit 6 – Using SQLite to store structured data in an app. Unit 7 – Simple threading using NSThread, more complex threading using operations and operation queues, and Grand Central Dispatch. Unit 8 – Using hardware sensors: accelerometer, gyro-meter, location services, etc. Unit 10 – Recording and playing back audio and video, including a discussion of the camera API and taking still photos. Unit 11 – View drawing, views and layers in detail, core graphics and core animation. Unit 12 – SpriteKit: a 2D graphics library that incorporates physics. Unit 13 – SceneKit for iOS: a high level 3D rendering framework, now available to iOS developers. Unit 14 – Metal: a low level 3D graphics framework that is up to 10 times faster than equivalent OpenGL – ES code. Unit 15 – Best practices for app design, development, and unit testing. 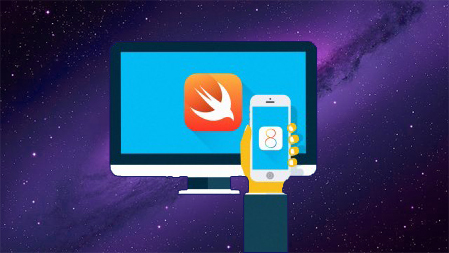 Download the Complete iOS 8 Programming with Swift course from EDUmobile Academy.